The WILDOCEANS “Only This Much” Campaign is still riding the wave of excitement after the South African government made an announcement on 24th of October 2018, that South Africa would be increasing protection of its continental waters from 0.4% to 5% within Marine Protected Areas (MPAs). 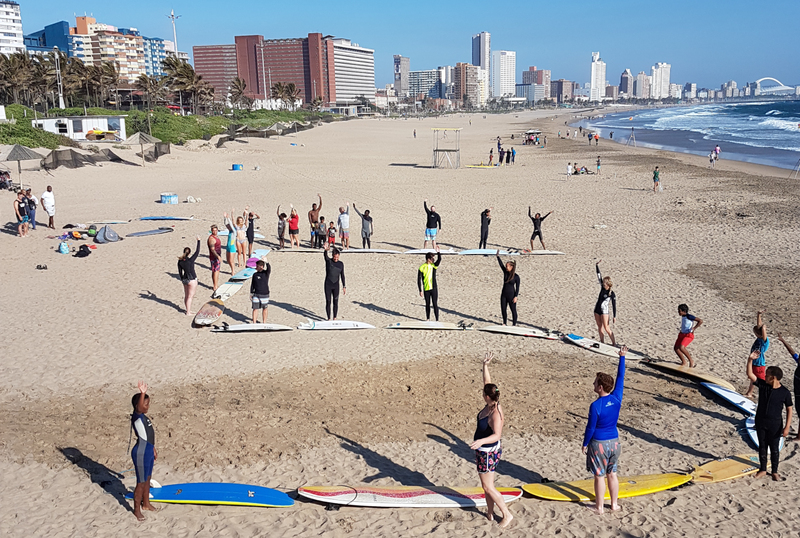 On Saturday morning, the 10th of November 2018, a group of surfers and ocean enthusiasts braved the harsh winds at uShaka Beach in Durban to take part in a video reflecting their celebration of the good news with Only This Much. “We wholeheartedly congratulate the South African government and the Department of Environmental Affairs for taking this bold step to underwrite the health of our oceans,” said ‘Only This Much’ Campaign Lead – Lauren van Nijkerk. “We had initially planned to film the group forming a 5 in the ocean with a drone, but the wind had other plans! Although the weather did not play along, the passionate individuals that joined us on the weekend shared why they love the ocean and gave the 5 out at sea a good go. I think their passion really shows in this clip and we want to extend our thanks to all that were involved,” said van Nijkerk. Funded by Oceans 5 in partnership with Ocean Unite, WWF-SA, Centre for Environmental Rights and the South African Association for Marine Biological Research (SAAMBR), the ‘Only This Much’ coalition hope to gain strategic wins for marine conservation in African waters that will catalyse action across the region. The hope is to build support amongst public and ocean stakeholders for Marine Protected Areas by creating awareness of their value for provision of ecosystem services, ocean risk mitigation, food security, ecotourism benefits, moderation of climate change, and improving resilience to impacts of other global stressors. “Love Africa is extremely proud to work with the Only This Much team on this campaign to advance the protection of the oceans around South Africa. The fact that this celebration brought together such a diverse group of people shows the impact that the ocean has on many peoples lives and highlights the importance of protecting it.” Nicola Gerrard, Director of Love Africa Marketing. This 5% MPA announcement will ensure South Africa is on track to meet our international obligation to protect 10% by 2020, and the scientifically recommended 30% by 2030. Critically, it will safeguard marine resources for the benefit of all South Africans.